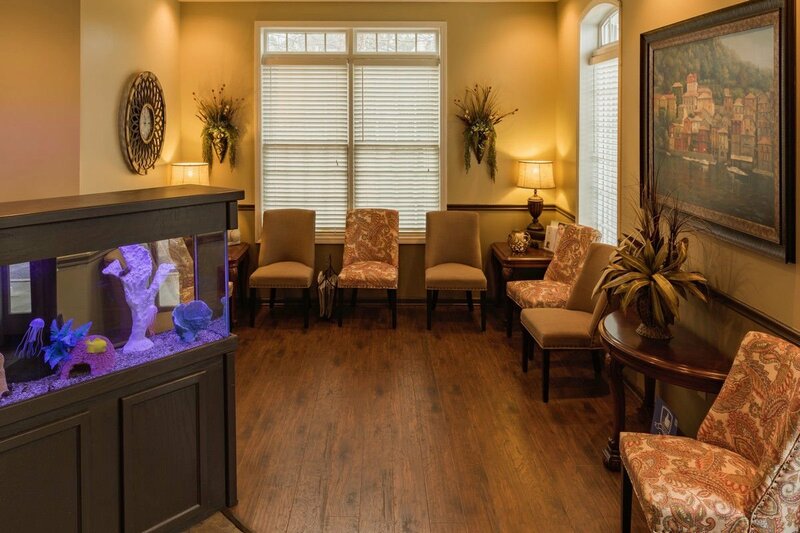 Comfort and convenience are the hallmarks of West Cobb Dentistry’s office operations. Changing one’s smile can often result in changing one’s life. It can mean a boost in self-esteem, improving relationships, and increasing professional and social opportunities. West Cobb Dentistry is conveniently located for those who live and work in Kennesaw, Acworth, and Marietta Georgia. Located on Stilesboro Rd, we are just minutes from the Northwest Family YMCA and the West Cobb Regional Library. Love this practice! Very family oriented, the staff are amazing and offer the best customer service. I wouldn’t go anywhere else after being treated here and my kids love it! We know you have many choices when choosing a Dentist in Kennesaw, GA so we have made requesting an appointment a simple process via our website. If for any reason you cannot keep a scheduled appointment, we do require a 24-hour cancellation notice. Please call us as soon as possible if you are needing to cancel or reschedule. We do accept most traditional insurance plans. Contact our office to verify acceptance of your plan. West Cobb Dentistry does not participate in Health Management Organizations; however, we do participate with the following insurance companies: METLIFE, DELTA DENTAL, CIGNA, AETNA, BCBS of GA, UNITED HEALTHCARE. We will be happy to file your insurance claims for you. Insurance is intended to cover some, but not all of the cost of your care. Most plans include coinsurance, a deductible and other expenses which must be paid by the patient. Please bring your insurance plan information with you on your first visit. We will work with you to assure that you receive the maximum benefits you are entitled. We make every effort to keep the costs of dental visits down while maintaining a high level of professional care, therefore payment is expected at the time services are rendered. At the end of each visit, you will receive information on what was billed to your insurance along with the amount due from you. If your treatment requires several visits, you will be given an estimate and ask to make financial arrangements with a member of our dental staff. If you have questions regarding your coverage, please ask a member of our business office staff and we will work with you to find the answer. Awesome and Friendly staff and Doctors. Even the kids don’t mind going to the dentist! CareCredit is here to help you pay for treatments and procedures your insurance doesn’t cover. We offer No Interest* financing or low minimum monthly payment options so you can get what you want when you want it. CareCredit Dental FinancingWith three simple steps, including an instant approval process, it’s easy to apply for CareCredit. After you’re approved, you’re free to use CareCredit for the services you choose including LASIK, veterinary, dentistry, cosmetic, hearing aids and more.